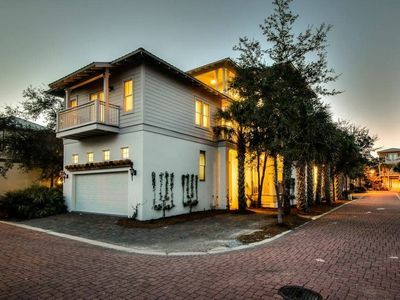 Discover 30A Couple's Hideaway… nestled between Rosemary Beach & Alys Beach. 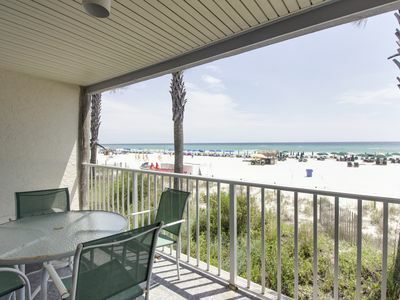 This gem is a delightful way for families and friends to enjoy the beauty of the Emerald Coast. 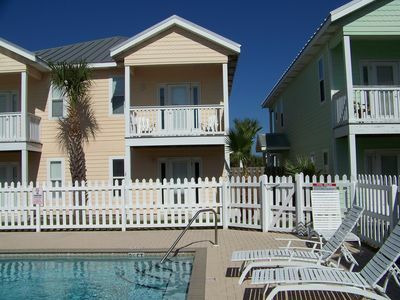 Our carriage home comfortably vacations 2. With a freshly renovated marble bathroom, en-suite kitchen/dining/living area and unique specialty decor all throughout the interior and exterior of our entire home. 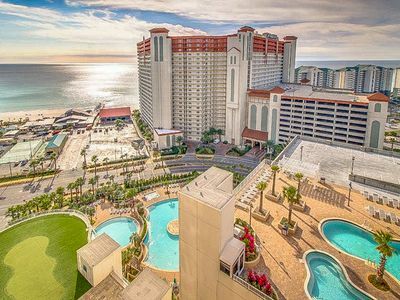 Most importantly of all, you’ll be just steps from the 12,000 sf pool and tram service to the gulf coast of Seacrest Beach. You may find your way to the carriage house by walking from the 2 Car Garage that leads to the stairs that head straight to the front door! 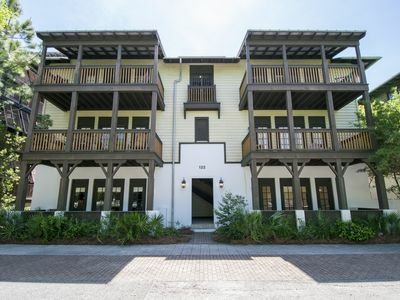 Stepping into the carriage house you will feel a sense of openness and space with this impressive open floor-plan. We offer a fully equipped kitchen that accommodated 4 guests. 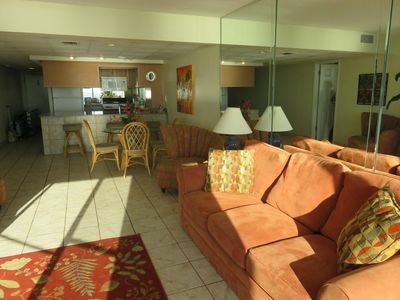 A 4 burner stove, oven, microwave, full size refrigerator and seating for 4 at the breakfast bar! Walking over to the living area, you will find the a very large coffee table, large enough to dine at! 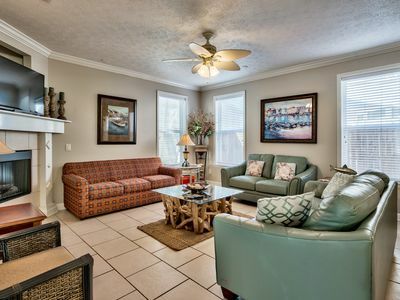 A cozy sofa and extra chair, allows you a variety of seating while dining or watching TV. 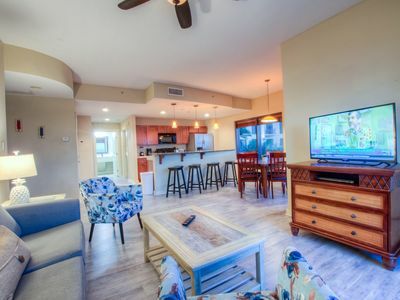 Offering a 48” flat screen TV connected to an apple tv, amazon echo smart speaker, along with a small balcony that has beautiful community views. Additionally situated in this space is a king bed furnished with luxurious bedding to ensure you ‘sleep like a driftwood log’. 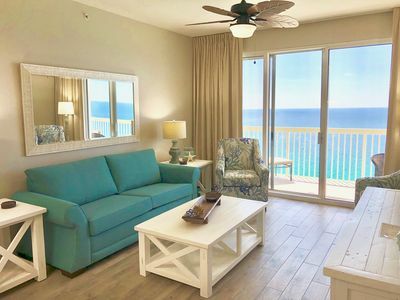 Just off the main area is a full bathroom decorated with carrara marble, glass shower doors, brushed gold fixtures, closet space to hang all of your vacation clothes and spa like towels and amenities! 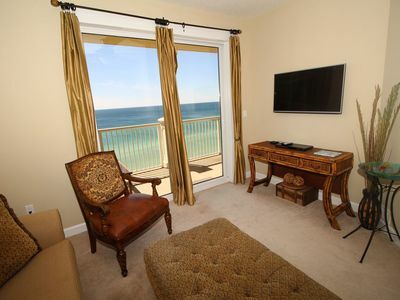 Offered throughout the entire property is of course, the highest speed internet possible. 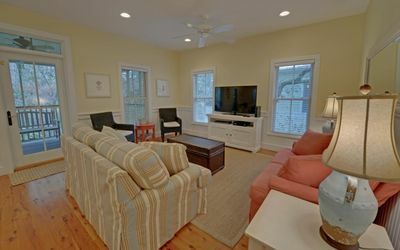 To ensure an enriched / full guest experience, you will have full access to the Carriage House, 1 Parking Space on the brick paver driveway, 2 Bikes, 2 Backpack Beach Chairs, Beach Wagon, Outdoor shower, Balcony off of carriage house, Community Beach Tram Service and of course, to our 12,000 sq. 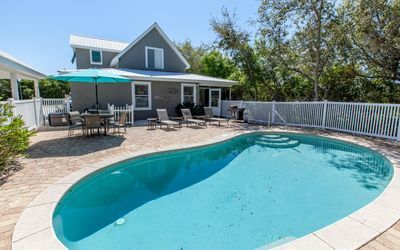 ft. Community Pool! 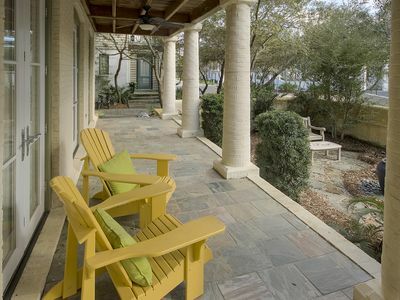 You may find seasonal events for Rosemary Beach here on this website. Complimentary concerts, movies on the lawn, farmers market weekly, children's events, wine tasting and many more activities. 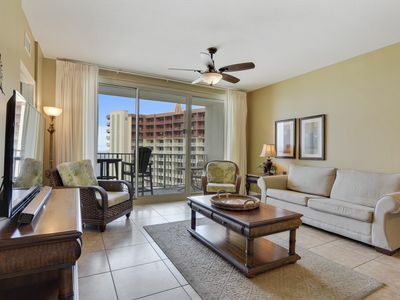 Nearby dining and shopping is available, as is beach chair service, grocery delivery, bike rentals, and other convenient concierge services. 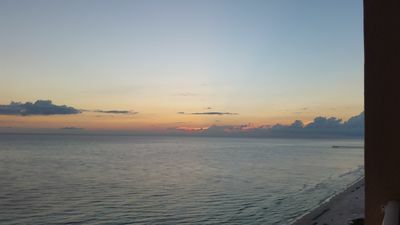 Google Sea la Vie 30A to explore more of what the the community has to offer. 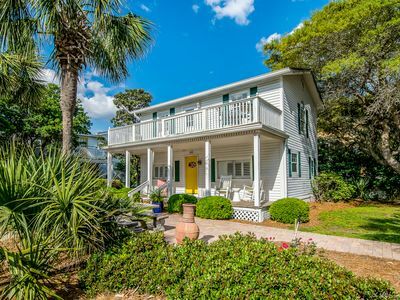 Google Sea la Vie 30A to see more photos and information about all the amenities of 30A. 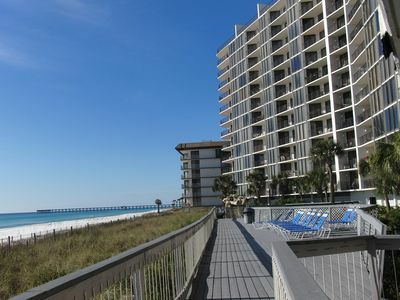 Newly Renovated-Top Floor-Rosemary Beach Flat-Upscale Accommodations! 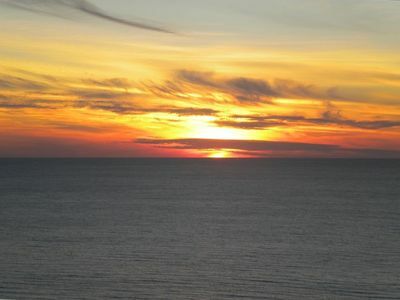 Breathtaking Views of the Ocean and Sunset from 22nd Floor!!! 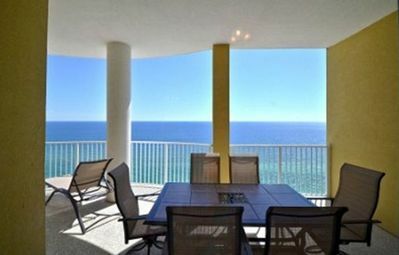 Lakefront condo w/ 5 shared pools, hot tub, on-site golf, near the beach! Origin 404! 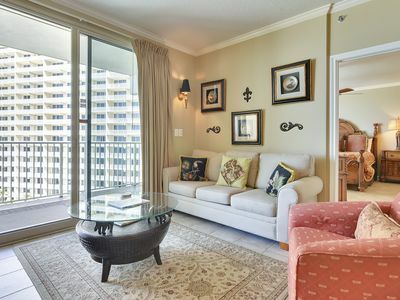 Gorgeous Condo, Best Amenities By ZIA! Laketown 1037! 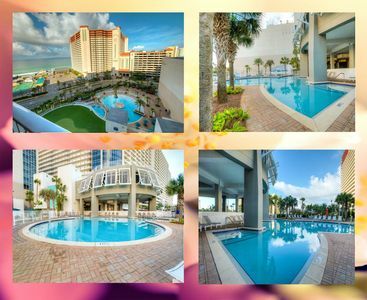 Incredible Ambiance, Great Amenities, Private Beach Access By ZIA!